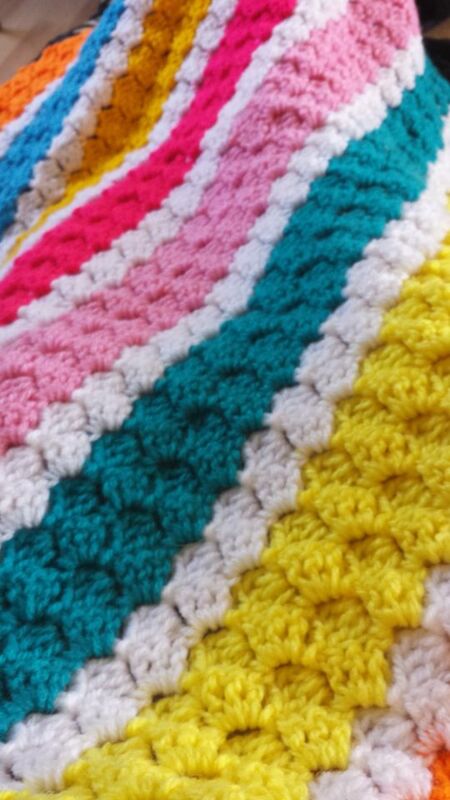 lovely bright summer baby blanket! Corner2corner pattern of which you can find a video on you tube. When completed will measure 4ft by 3ft. Baby soft wool double knit!